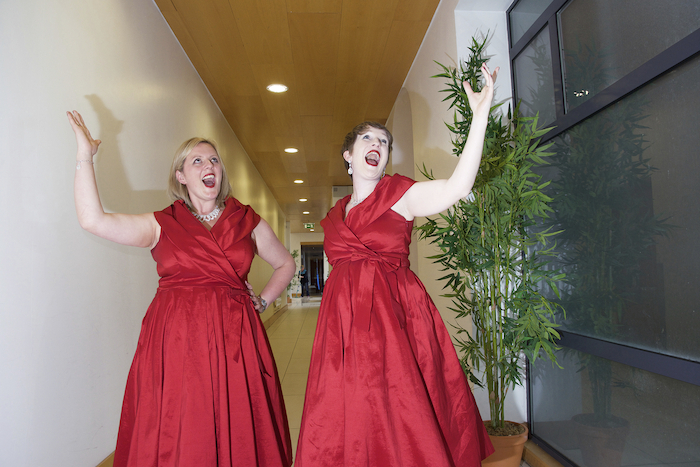 Members of ‘Lady Barbalade’ hitting the right notes - one of the winning groups at the Mayo International Choral Festival 2018. Photo: Alison Laredo. The eighth Mayo International Choral Festival will take place in May of this year and preparations are now in full swing after the closing date for entries was marked on January 31 this week. The festival takes the form of visiting and local choirs participating in concerts all over Mayo, as well as ‘pop-up’ choir performances on the streets and in public buildings, covering many genres of singing, including A Cappella, Barbershop, Gaelic and Celtic language, Gospel, Musicals, Pop and Sacred Music. Many of the choirs also take part in competitions, judged by a panel of renowned international adjudicators and all events, including the competitions, are open to a public audience. Choirs that have participated previously list as their highlights the fantastic historic venues with great acoustics that are peppered all over Mayo, the friendliness of the Mayo people, the stunning scenery, the efficient organisation, the relaxed atmosphere and the highly entertaining Gala Choral concert on the Saturday evening. Choirs also benefit by getting to hear and enjoy other choirs singing over the few days. Participants also enjoy the many fine restaurants, pubs and great value quality accommodation in Mayo. Chairman, Frank Murray, stated: “I am delighted to be involved in this dynamic organisation and am overwhelmed by the support that makes it all happen – from our own executive committee to the choirs and our generous sponsors, particularly Mayo County Council and Castlebar Municipal District and many other organisations and businesses. We are also extremely grateful to our loyal and growing public audiences and the support we get from the media." Full details are available from www.mayochoral.com or [email protected] or by phoning 094 90 2 30 40. The festival runs from May 22 - May 26.